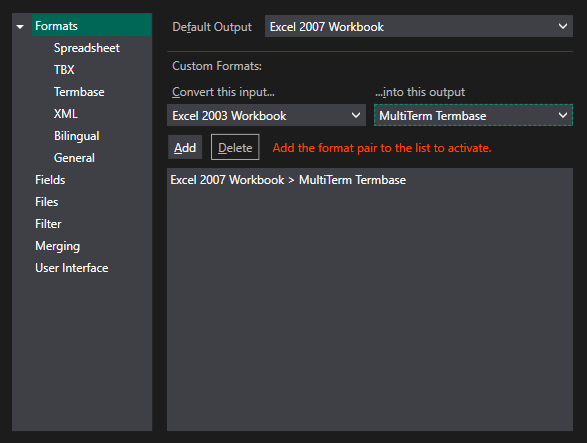 This page determines the output format when converting a termbase (sdltb or mdb) file. The default is the spreadsheet format of the installed Excel version (.xslx or .xls). It also contains some settings that control details of handling file formats.